Passion: Episode 35 | TeleNovela Channel - Bringing you closer to lifes drama. 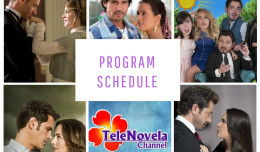 Sofia continues to investigate if Santiago is Jorge’s son while Lisabeta tries to convince Ricardo to ask Camila to give her inheritance back. Meanwhile, Camila receives an anonymous letter asking for money and to meet up.